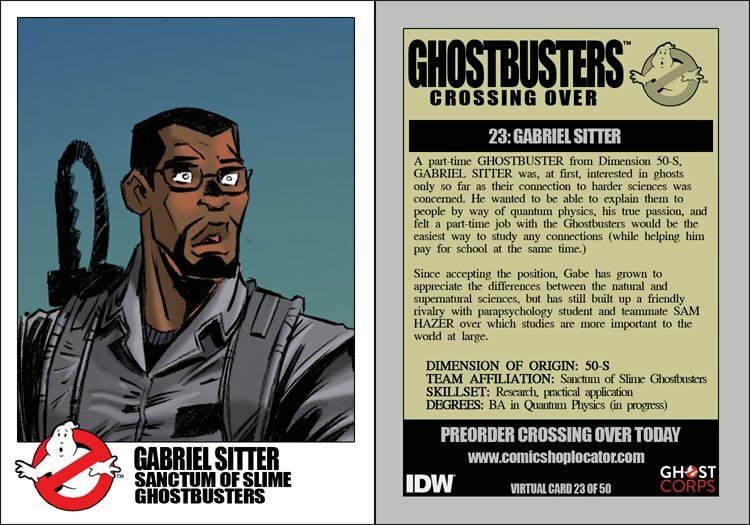 A part-time GHOSTBUSTER from Dimension 50-S, GABRIEL SITTER was, at first, interested in ghosts only so far as their connection to harder sciences was concered. He wanted to be able to explain them to people by way of quantum physics, his true passion, and felt a part-time job with the Ghostbusters would be the easiest way to study any connections (while helping him pay for school at the same time). Since accepting the position, gabe has grown to appreciate the differences between the natural and supernatural sciences, but has still built up a friendly rivalry with parapsychology student and teammate SAM HAZER over which studies are more important to the world at large.